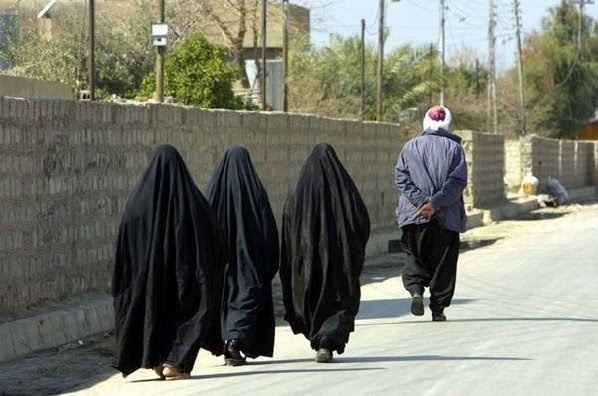 Does a Muslim woman have to walk behind her husband? further back behind their husbands and are happy to maintain the old custom. Ten days to go, time to get the word out. I have already passed the obstacle of my husband, who I had originally feared would see it as an insult to his beliefs, but actually he was more interested in the technical side of blogging, so now the rest of the world. During last nights work shift I dropped it into conversation. “So you have to walk behind your husband?” asked a co-worker. I guess I can’t really blame co-workers with little to no experience in Islam to confuse culture and the religion when I have seen many Muslims do the same. Things like female genital mutilation and women not being allowed to drive do not represent Islam, it represents a country. I for one will not be walking behind my husband unless window shopping (a woman’s right). I am by no means an expert in Islam, but face covering (naqab/burka) is a hot topic on certain groups I’ve been on. I have read all the sides of the argument- from those who wear it and think it is compulsory, those who wear it just because they wish to, those who just wear a hijab (head scarf) and Muslims who do not cover at all. I have read the Quran passages about a woman’s clothes and have come to the conclusion that covering your face is not in Islam. However, I will cover my hair. I’m not a complete novice in this, in Egypt I sometimes wear a hijab to get less hassle, and during the winter in England I wore it a couple of times as it keeps my head, ears and neck warm (suits me better than earmuffs).